Do you dream of having flexibility so you can pick your kids up from school? So that you don’t miss their early play dates? So that you can hear how their day went? Do you dream of traveling the world, having the flexibility to work where and how you like, making enough to support your family, and being financially independent? Long gone are the days when looking for online business ideas without investment would insinuate illegitimate options. With online businesses flourishing and ecommerce graphs show a clear trend of continued growth, having no online presence is a sign of nonexistence. There is no guarantee that you will make money immediately and certainly not big sums. Successful online entrepreneurs have usually started small, put in the hard work needed, and learned the hard way what works for them. And a good formula for one may not necessarily be good for another. We all learn by trial and error, and those who make it have probably had dozens of setbacks before getting themselves on the right track. The second thing to remember is that there is no one solution that fits all. You should use your best judgement to consider which of the online home-based business ideas or remote working opportunities best fits your interests, character, skills, and strengths. Are you looking for a job (rather than starting your own business) that will allow you to work from home or from anywhere in the world? Are you looking to make money by becoming an influencer or starting a blog? 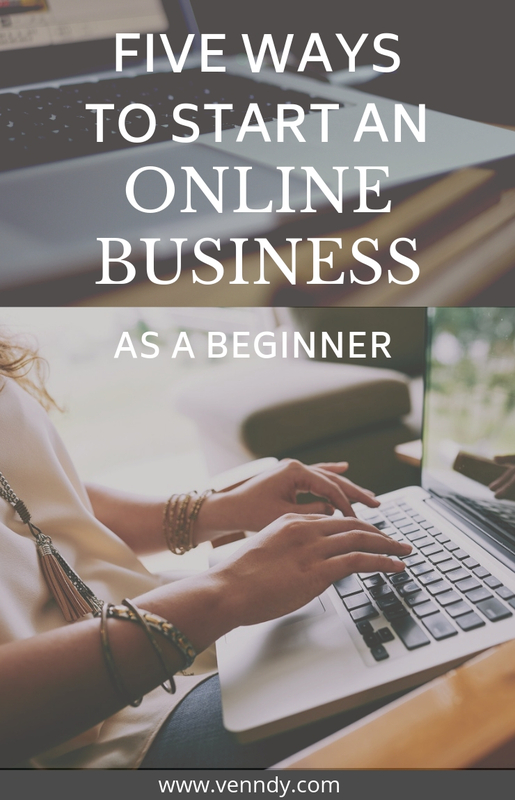 Are you up to starting an online business? Different answers will lead to different opportunities with different risk associated with them. 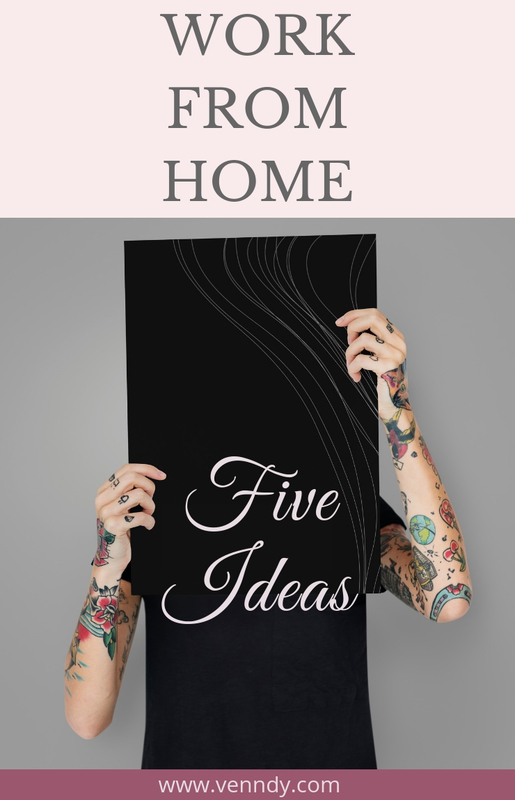 We’ve gathered five of the best business ideas for making money working from home or remotely, along with a few suggestions about how to start an online business for free. Some of the free options mentioned here are only good for building the first steps; when it’s time to grow and you need additional capabilities, you may need to pay for extra features. Analytics and stats, for example, are the type of information that is only provided with the paid versions. Wherever we found prices for upgraded features, we have indicated them so you can better understand your options. Have you always wanted to have your own boutique because you have an eye for finding great products? Are you good at finding the best deals? Are you passionate about having your own online business and using your great marketing capabilities to reach new customers? If the answer to any of these questions is yes, than opening your own online store could be just the thing for you. We’ve gathered some of the well known ecommerce services for opening your own store and selling your own products or products you buy from others and sell. If you are a blogger, you can even add a shop created by one of these ecommerce platforms, to your blog which will help diversify your income source. It can be one of the multiple income streams for your blog. Shopify – Shopify lets you build your own ecommerce store from scratch. It is very easy to use and popular. They do not have a free version (although they do offer a 14-day free trial) and you can find their pricing list here. BigCommerce – A platform for building a customized online store, manage shipping and payments, and listing products on Amazon, eBay, and more. Like Shopify, they have a free trial period but no free version and this is their pricing list. WooCommerce – An open-source ecommerce platform built on WordPress, offering a lot of flexibility and access to a lot of plugins but no hosting services. Volution – An ecommerce software solution for creating online stores. There is a free trial period and here is the pricing list. Weebly – Weebly provides ecommerce platform tools for building a website or an online store. It has a free version as well as Pro and Business versions. You can check the differences in features in this price list. Selz – A platform for creating online stores and landing pages. They have both free and paid options, which you can check here. Lemonstand – A customizable ecommerce platform for retailers in the process of growing and who therefore need more advanced functionalities. They offer a free 14-day trial and here is their price list. If you are not ready to open your online store but still want to sell physical products that you create, using a marketplace can be much easier. Marketplaces charge a transaction fee, but you don’t need your own hosting, you don’t need to master marketing, and you can enjoy the brand awareness and global reach of the platform you’re using. Also, if you are selling products on a niche platform, it is easier to reach targeted shoppers who are looking for art, crafts, furniture, second hand, and more. Starting out on an ecommerce platform is just as good as an online business idea if you are a beginner who is not quite ready to plunge into running your own self-hosted shop. Here is a list of some of the big platforms. eBay – A marketplace for new and used products. Here’s how you can start selling on eBay as an individual or as a business. The eBay platform charges fees for actual sales. You can read more about here. Amazon– A marketplace for new and used products. If you sell on Amazon as an individual, you only pay a fixed sales fee and a referral fee; as a business you pay a fixed monthly fee on top of a referral fee. Here’s how you can start selling on Amazon. Etsy – A marketplace for unique and creative goods, handcrafted, vintage, and printable pieces, and more. Here’s how you can start selling on Etsy. Tictail – A marketplace with a one-stop destination for fashion, art, and home decor from small businesses around the world. Zibbet – A marketplace for independent artists, crafters, and vintage collectors. Users can buy unique and inspiring products. Gumroad – A platform for creators selling digital goods as well as physical products and subscriptions. CrateJoy – This platform helps you create customized subscription boxes. One of the areas with growing popularity for creating an online lifestyle business is the use of affiliate marketing to monetize content created by bloggers, influencers, and publishers. Affiliate marketing is the process of referring readers to the products, places, and services you recommend in which you receive a commission if the reader signs up or makes a purchase. It’s like recommending a friend to go see a show or stay in a hotel you really loved and getting paid for it! The great thing about affiliate marketing is that you can start from day one and don’t have to worry about creating your product or searching for new clients. 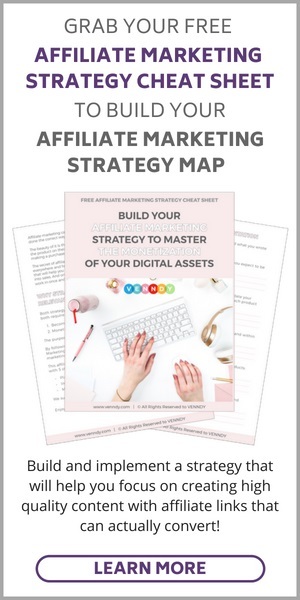 You can read more about How You Can Use Affiliate Marketing From Day One, When is the Right Time to Start Using Affiliate Marketing, and Everything You Need To Know About Affiliate Marketing in our Affiliate Marketing Guides. The other good thing about affiliate marketing is that there’s no inventory, no customers, and no shipping! The only thing you need to do is to take care of your happy followers and only promote places, items, and products that you love!!!! Affiliate marketing, when done right, can be great as a home-based business idea for moms who are looking to be at home more when their kids are little or for nomad travel bloggers or influencers who want to monetize their travel experiences. One way is to start something like an Amazon affiliate website as explained in the article here. It shows how to create your store using a combination of WordPress and an ecommerce platform such as WooCommerce. Another way, is to join a platform such as VENNDY. VENNDY helps you build an online presence with all your favorite items so you can gradually grow your following, make money from your knowledge, and take control of your financial future. By gathering tips and recommendations of places, products, and services you used and love, you build a shop of promoted items. It is like having your own personalized boutique with advice you share with others to help them find products and make better, easier, and cheaper shopping decisions. If, for example, you are a mom who enjoys sharing her life on Instagram, VENNDY is the perfect tool for accommodating your content with links to where you shop. Even without a blog, you can still share items such as everyday products and places you visit to help others shop better. Using affiliate links can help you monetize your Instagram. VENNDY takes online social trends and makes them practical with an emphasis on sharing advice, tips, and experiences that can help others make their lives easier, happier, and more fun. Both Shopstyle Collective and Liketoknow.it are sub-affiliate networks. They are both great for fashion bloggers who love sharing their looks. 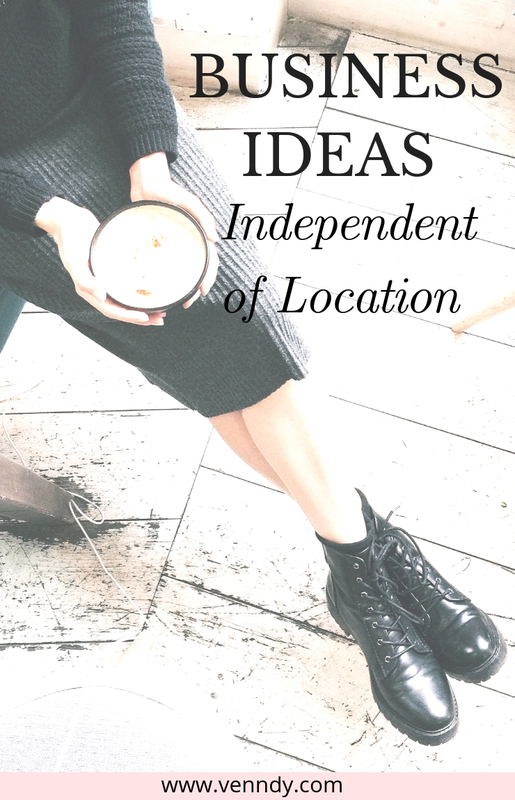 But if you are a mom or DIY blogger or a travel blogger who wants to share places and hotels, this solution is not complete. Joining one of these networks means you have automatic access to all of their brands and don’t need to apply to individual programs; they have the relationships with the brands, and they negotiate the terms and commissions. VENNDY is somewhat similar to ShopStyle Collective, only, while the later is about shopping your look, VENNDY is about getting advice, socializing, and sharing shopping experiences. Experiences can be anything with a web presence, and this is why VENNDY is not a sub-affiliate network but rather a platform for shoppers, influencers, and businesses, where any affiliate program can be used. There is no conflict between joining VENNDY or Shopstyle. You can join both; it’s simply a question of what you are looking for. A. Personal growth – When people had just started blogging, at the beginning of this century, when blogs were still self-coded and there were very few, if any, blogging tools, the main reasons for starting a blog were self-improvement and personal growth. It was a platform for just about anyone to share their stories, thoughts, and ideas and to connect with others. This remains one of the reasons why blogging is still relevant. B. Make money – The evolution of blogs since then allowed some bloggers to also make money from blogging, mainly through ads and affiliate sales. Since making money with a blog is not an easy or straightforward path, for a long time it was not the reason cited by bloggers as their goal. However, with social media now becoming a dominant way of interacting and the growth of online shopping, blogging has become a popular platform for making money online. Brands recognize the importance of influencers and bloggers for building brand awareness, reaching new audiences, and increasing online sales. As a result, growing numbers of bloggers now openly share that monetizing their blog is their number one reason for blogging. C. Build an online community and be of help to others – Creating useful content that can help others in whatever they are looking for gives a strong sense of purpose. But above all, blogging is a lot about the community built around a common interest and the connections created with like-minded people. Social media is all about the joy of sharing our experiences with others. We all love recommending something we have found enjoyable or beneficial, be it a restaurant we loved, a great toy, a good book, or a beautiful armchair that can be a great addition to a home office. Blogs give their owners the opportunity to do exactly that; they provide a platform for sharing and recommending what we’ve experienced and discovered with others. 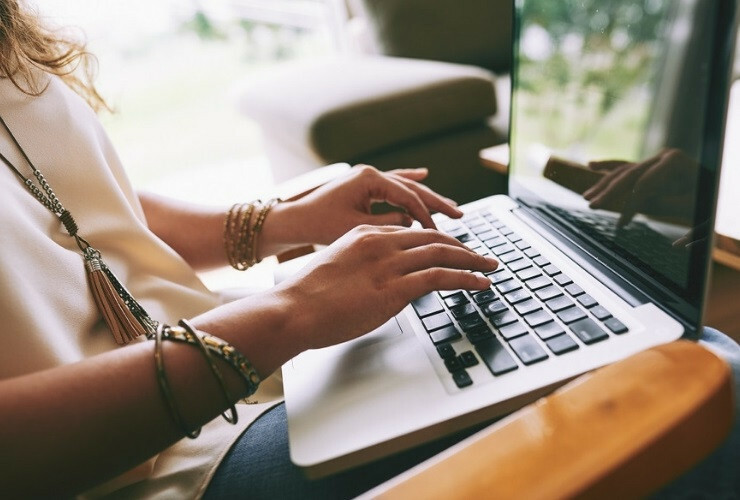 With growing numbers of millennials looking to do something meaningful but with a more flexible time schedule, more and more people are looking into the blogging option as an online home-based business idea. Blogging is location- and time-independent and can therefore be good for moms, nomads, and creators. However, just before you jump on board, take the time to better understand your motives. What is it the content you want to write about that will keep you full of ideas in the long run? What is your primary reason for blogging: sharing your experiences, teaching others, or sharing your thoughts? And make sure to choose the right platform based on your "why” and your willingness to put in the necessary effort. Because making money blogging will require more than just a few clicks a day and your progress will depend on learning and adapting and will take place in slow and demanding steps. You can offer services in your niche either after you have been blogging for some time and or, alternatively, you can build up your business offering services and then use blogging to promote it. Either way can help you establish your personal brand and influence online. Offering online services means you can work in the comfort of your home while taking care of home and family or you can be traveling and work remotely. Online connectivity opens endless entrepreneurial possibilities for those willing to be creative, find their voice, and share knowledge they have gathered. A. Writing– You can make a living writing as a freelancer either writing for other blogs or writing content to help businesses generate brand awareness and expand their online reach. Editing and online research are some other ways people make money online as a side hustle or as a way of making a full-time living. B. Social media services – If you love Pinterest, you can offer services pinning on Pinterest or managing an account. Same for Instagram or Twitter. Although there are automation systems (such as Tailwind and Hootsuite), this is still time-consuming, as it requires learning the system. This is why bloggers and businesses are looking for help in managing their social media accounts either for content creation or just for scheduling and engagement. C. Design– You can design websites or design products such as website themes, fonts, and templates for social media. But with the great demand for stock images, such as feminine themes, if you have an eye for it, you can take great photos and sell licenses to use them and this way freelance your passion. D. Virtual assistant – If one of your skills includes even some technical or online networking knowledge, you can help others with blog management, creating and editing images, creating pins, email marketing, blogger outreach, research, content editing, etc. This can be a good way to learn about how blogging works from behind the scenes and to improve your capabilities while working with other more established bloggers. E. Create your own product – If you have been blogging for some time or have any special skills or talent you have become aware of – such as graphic design, taking beautiful pictures, language skills, or writing skills – you can package it all in an ebook or an ecourse. The more focused you are, the better; when it comes to other people finding you online, you want to stand out by narrowing your specialization so that you become the go-to person and build your authority. You need to be creative in order to build your own digital presence. You may even need to diversify and create multiple streams of income over time. For example, if you start a blog, you can then create an affiliate marketing shop and link it to your blog to improve your affiliate marketing performance. You can then move on to also offer freelance services. It is no surprise that entrepreneurship has become a widely used term for anyone starting a business, because old ways no longer open new doors. Creativity and innovation in marketing strategies, outreach on social media, and online networking are key to making money online. Know your strengths! Go with something that works best with your knowledge and with the things you love doing so you can maintain your motivation in the long run. Know your audience! If you are trying to leverage a social reach you’ve created on social media, continue selling the products and services that best suit your existing audience. Know your promotional channels! Pick the 2-3 social media networks that will best promote your shop or blog. Better to master just a few channels than to burn out by trying to keep all the balls in the air. If this post has been helpful, we’ll appreciate if you spread the word and share it. Good luck!